The Magneto Generator is perfect for classroom demonstrations of the effect a load has on a power source. The magnet has a strong magnetic flux density and is capable of producing higher voltages than cobalt-steel magnets. 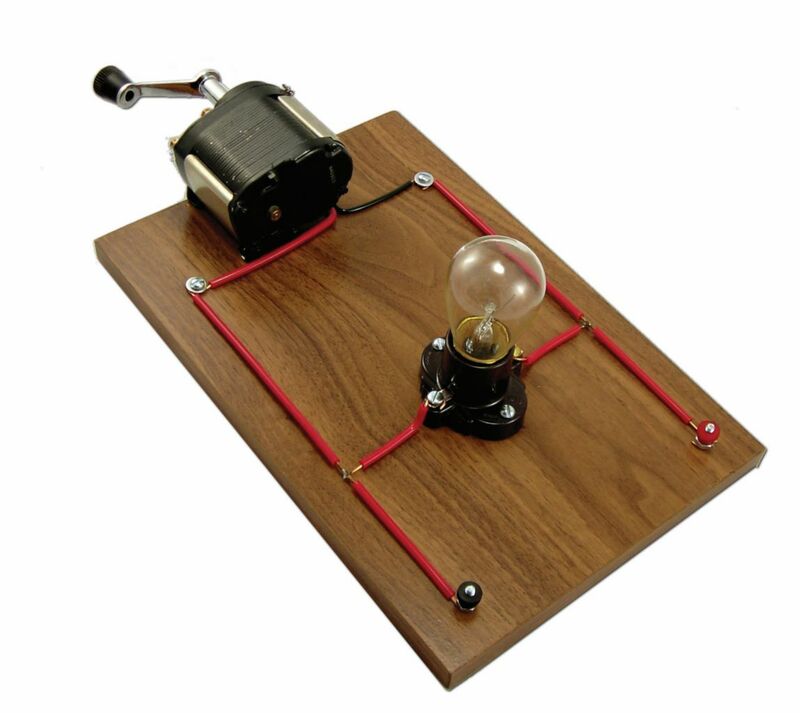 The generator is mounted on 7⅝ x 12" wood base with incandescent lamp and socket used as a load. Two binding posts are placed on the board for attaching other loads.